The Frilled Cast On is extremely simple and gives a pretty, frilled edge that looks like crochet and blocks quite flat on a Stockinette Stitch piece. It is a good match for the picot bind off and is a nice alternative to ribbing, garter or moss stitch when you want an edging that is more decorative or delicate. Cast on 4 stitches using preferred method (long tail cast on, knitted cast on and cable cast on all work nicely). 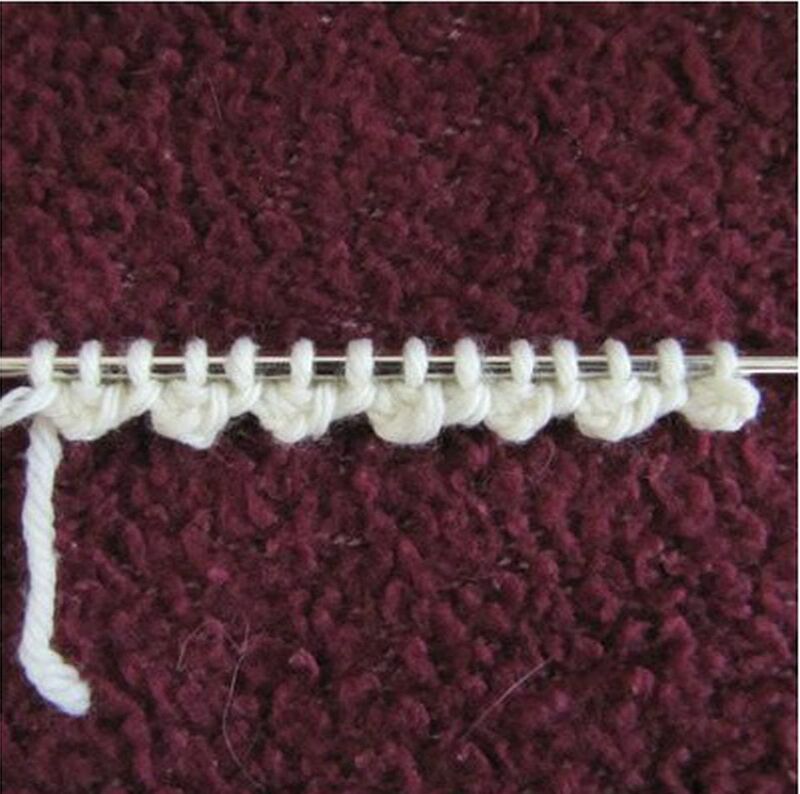 Pull the second, then the third, then the fourth stitch on the needle over the first stitch. Repeat these three steps until you have the required number of stitches. It is important to remember that you are casting on 4 times as many stitches as you normally would for a garment or piece in the width you are making, and so you will need a lot more yarn for the cast on if you are using the long tail method. A good idea is to use two balls of yarn for casting on. Do You Know the Tricks to a Long-Tail Cast On? What Are Stitch Markers and How Are They Used in Knitting?